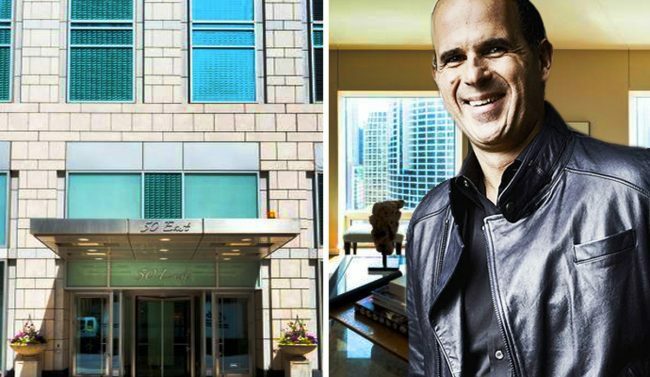 Retail CEO and reality TV star Marcus Lemonis closed a sale on his Gold Coast condo for $3.25 million, about a month after he put it on the market. Lemonis, who starred on the CNBC show “The Profit,” bought the three-bedroom apartment on the 17th floor of 50 East Chestnut Street in August 2016 for $3 million, according to Crain’s. He had originally listed it for $3.3 million. Lemonis put the home up for sale on May 4 and had a buyer under contract just five days later, according to Joe Wright of Joe Wright Real Estate, who brokered the sale. The buyer, who has not been identified, was represented by Baird & Warner. The condo has 25 floor-to-ceiling windows looking out in four directions, and its two terraces have a combined 500 square feet of outdoor space, according to the listing. Before Lemonis bought the condo he lived in north suburban Lake Forest, selling a home there in August 2016 for $2.7 million — just over half the $4.9 million he and his first wife paid about 12 years earlier, according to Crain’s. Lemonis’s condo is next to the Tremont Chicago Hotel, which was acquired by investor Hotel Capital for $25.5 million this month. And few blocks away, a historic 11,000 square-foot mansion hit the market for almost $22 million, making it the second-highest current listing in the city.